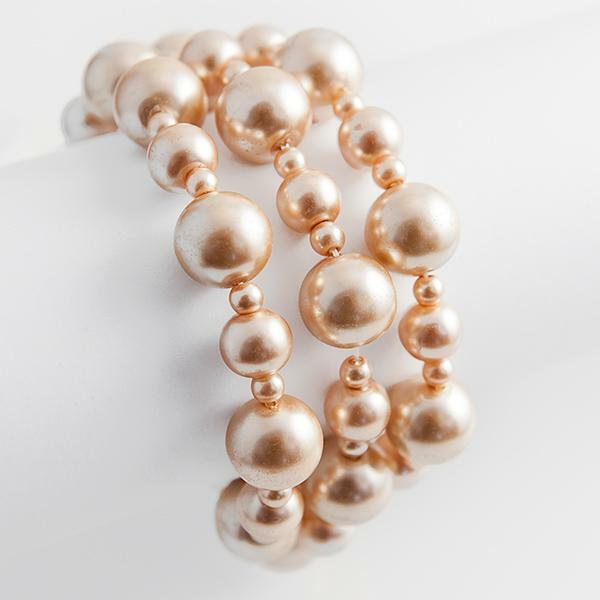 This fun triple strand glass pearl bracelet comes in Black or White.Taupe Is SOLD OUT. 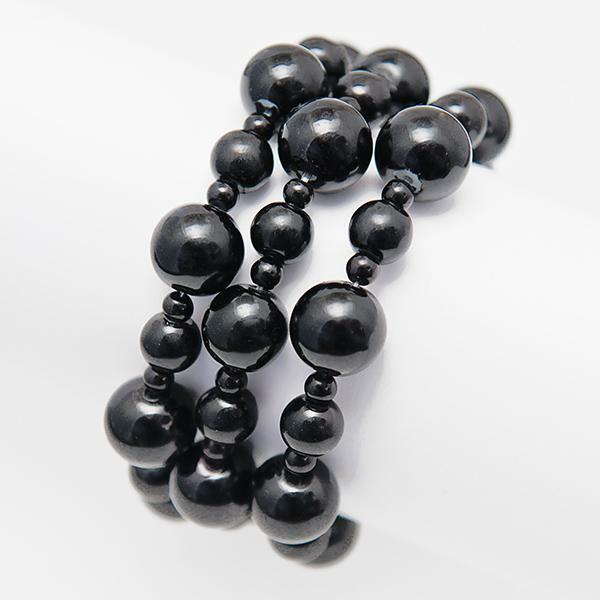 Can be worn in multiple sets or alone, Bracelets are stretch and will fit most wrist. Lead Free. Please specify color when ordering. Complimenting White pearl earrings are EA542 and EA543. Black Pearl Stud Earrings EA293. 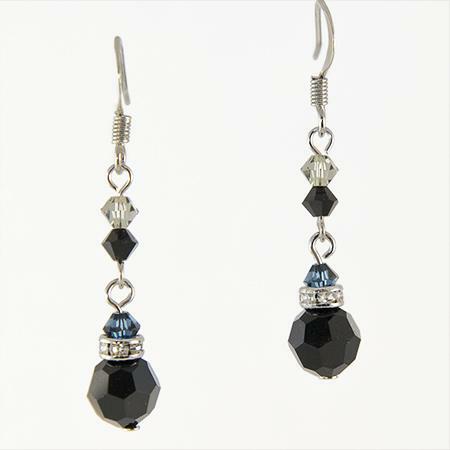 These Elegant Black Chandelier Earrings are made from the finest Swarovski crystals. Earring is in all black and clear crystal.